Netflix is staying in the drug business. The streaming service announced today that it has renewed Narcos for two more seasons, and is not making any drastic changes to its creative team. Executive producers José Padilha and Eric Newman, who stepped up as showrunners for the most recent outing, are staying on board. A video teased the third outing with some intense portraits and one very corny pun. 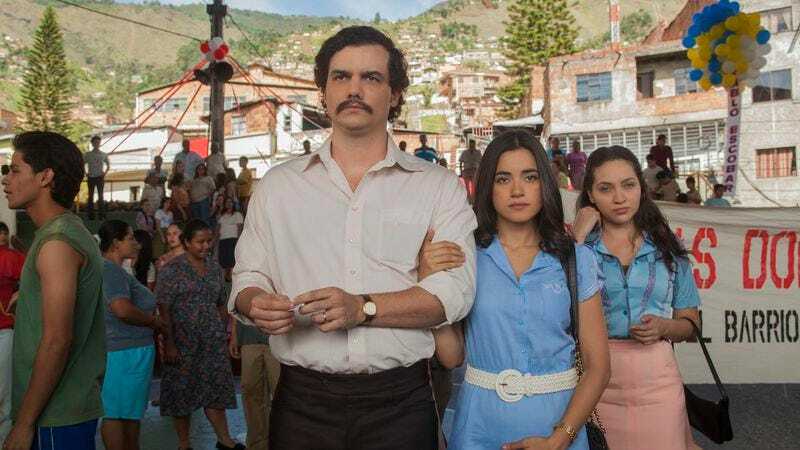 The second season, which debuted this past Friday, features the death of Pablo Escobar (Wagner Moura). The A.V. Club praised the new episodes though also noted: “Extending Narcos beyond season two seems like a mistake, in part because [Wagner] Moura’s performance provides the show’s gravity and its sense of purpose. But perhaps there’s way more story to be told.” Apparently, Netflix thinks that is indeed the case, and that an Escobar-less Narcos is worth a try.